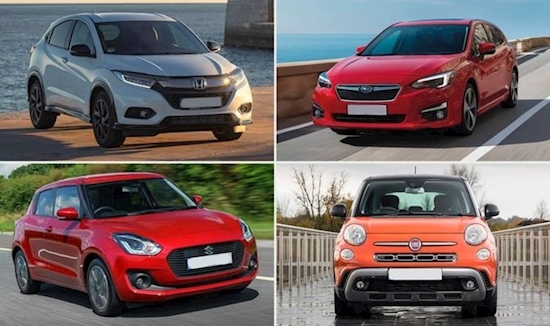 News data has revealed which car manufacturers are producing the most reliable cars which are the least likely to breakdown on the roads in Britain. The stats were compiled by MotorEasy, which found that Subaru, famous for producing the Impreza, Outback, and Forester, were producing the most dependable vehicles. Just three in every 100 vehicles made by the carmaker required a claim-worthy repair in an average 12 month period. Subaru cars were also only marginally more expensive to fix than a Nissan, too, with the average repair cost weighing-in at £420. Following them were Honda, Smart, and Suzuki which also tied for second place on the reliability scale. To come to the conclusion about car reliability 47,000 policies over a period of two and a half years were analysed. This covered 33 different car manufacturers and covered the number of repairs requested as well as the cost to fix them. Alfa Romeo emerged as the brand most likely to break down - with 43 out of every 100 cars developing a fault each year - at an average cost of £215. Land Rover not only proved expensive to remedy - with average repair costs cheaper than only Porsche and Lexus - but they were also second from bottom in the chart. Around a third, (32 per cent) of Land Rover owners experience a fault each year, found the study.